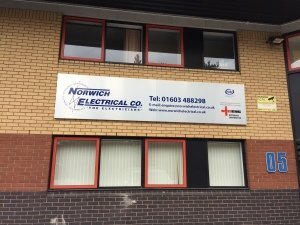 Norwich Electrical Co. Ltd was formed in 1993. Since then, we’ve grown into one of the largest electrical contracting firms in East Anglia with a vast amount of experience in the industry. We cover a wide range of electrical works from large mainstream commercial and industrial electrical contracting, right down to our small works division which carries out maintenance and breakdown jobs for domestic clients. We work with government departments, local authorities, leading architects, local industry and private businesses throughout Norwich, Norfolk and East Anglia. Our elite team of experienced electricians are all fully qualified with a reputation for excellence. We’re fully accredited by the National Inspection Council for Electrical Installation Contracting (NICEIC) and Contractors Health and Safety Assessment Scheme (CHAS) and all work is carried out in compliance with the latest regulations. We have full public liability and professional indemnity insurance giving you complete peace of mind. We will organise our affairs in such a way that the factors affecting the quality of contract, product and services are always under our control.